As the year winds down and that much-needed holiday comes closer, now is a great time to begin planning your Christmas season getaway. Botswana will begin entering its green season, when floodplains are filling up and wildlife are celebrating this highly fertile season. As this is the low tourist time, game-viewing areas and lodges become less crowded. 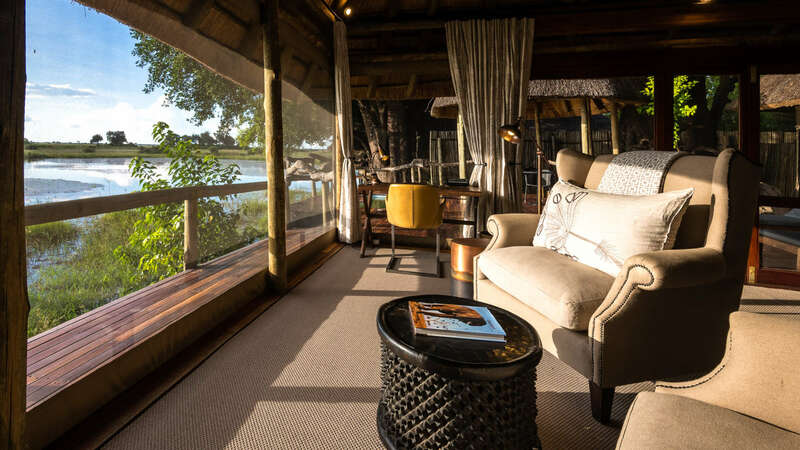 Our Camp Okavango and Sable Alley package is a four-night getaway to the Okavango Delta and Khwai Private Reserve, with luxury lodgings offering an intimate and authentic safari experience in Botswana. Natural Selection’s Sable Alley Camp is a recently built, modern dedication to the natural beauty of the surrounding Khwai floodplains. The canvas-tented rooms are spacious and comfortable, all providing impressive views of the lagoon from raised platforms and of the roaming wildlife. Guests are treated to elegant indoor ensuite facilities as well as outdoor showers and baths that make for perfect relaxation spots in the bush. 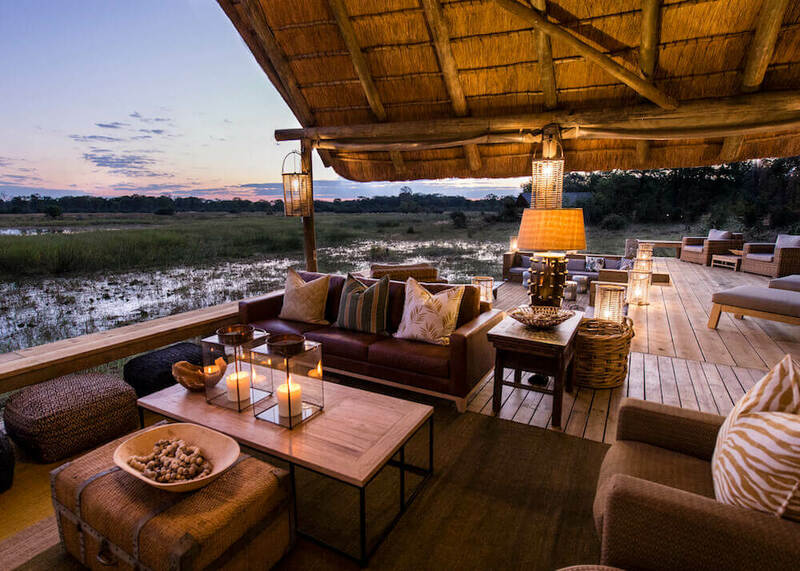 Desert and Delta Safaris’ Camp Okavango is nestled into the remote Nxaragha Island near to the wildlife-rich Moremi Game Reserve. Guests are promised a peaceful and secluded delta experience, as the campsite only accommodates 24 people in 11 safari suites and one family unit. Perched above the water and sheltered under a canopy of trees, expansive views can be enjoyed from the comfort of each suite’s private deck. 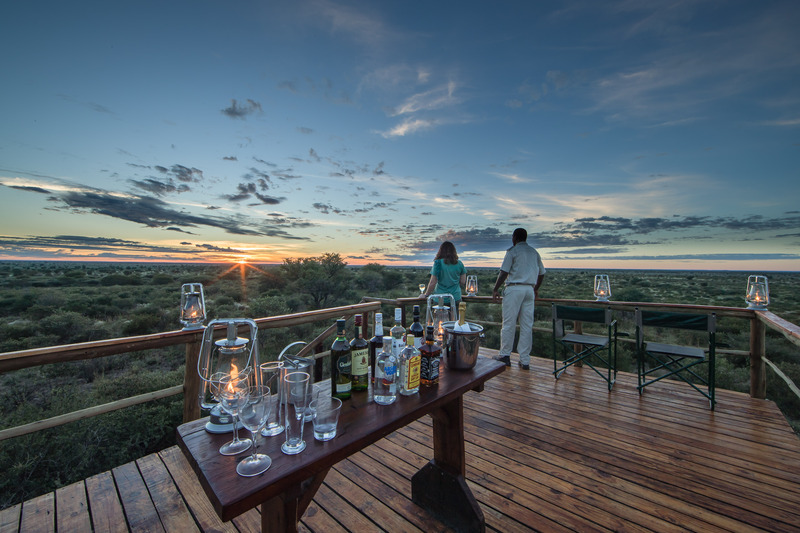 Guests choosing the Botswana with Ker and Downey package can indulge in a superb six-night retreat to three major game-viewing areas and bed down in luxury Ker and Downey camps. 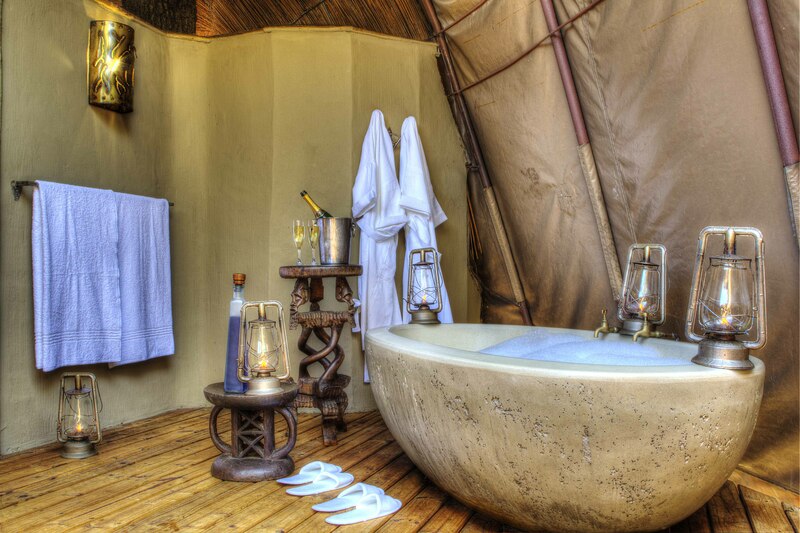 Dinaka Camp is a small, seven-tent safari camp located on the northern edge of the Central Kalahari Game Reserve. This child-friendly camp comfortably accommodates a family of four in a two-room tent with shared ensuite bathroom. Tents are well-spaced with fantastic raised viewing decks that look onto a permanent watering hole. Okuti Camp is positioned alongside the Maunachira River in the heart of the Moremi Game Reserve, a well-known wildlife haven. Throughout its design aesthetic and stylish décor, Okuti mirrors the water over which it looks to create a calming retreat in Botswana’s wilderness. Newly-weds can request the honeymoon suite, which features all of the above along with a bathtub for romantic bubble baths. 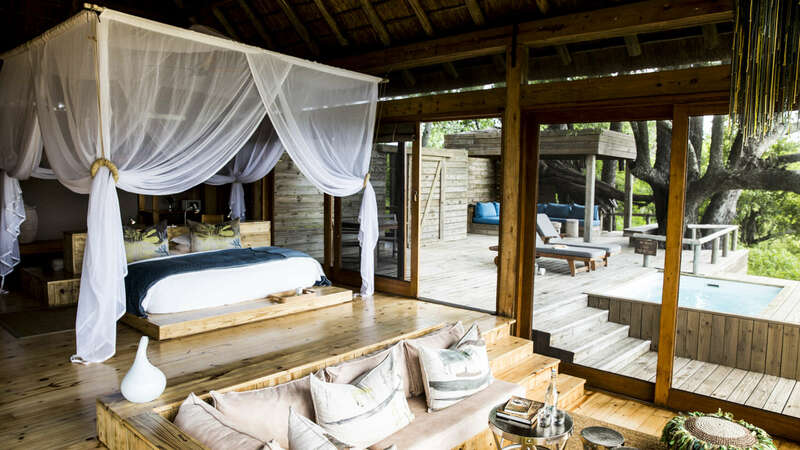 Shinde Camp fits seamlessly into its surroundings on a small island in northern Okavango Delta’s Shinde Lagoon. 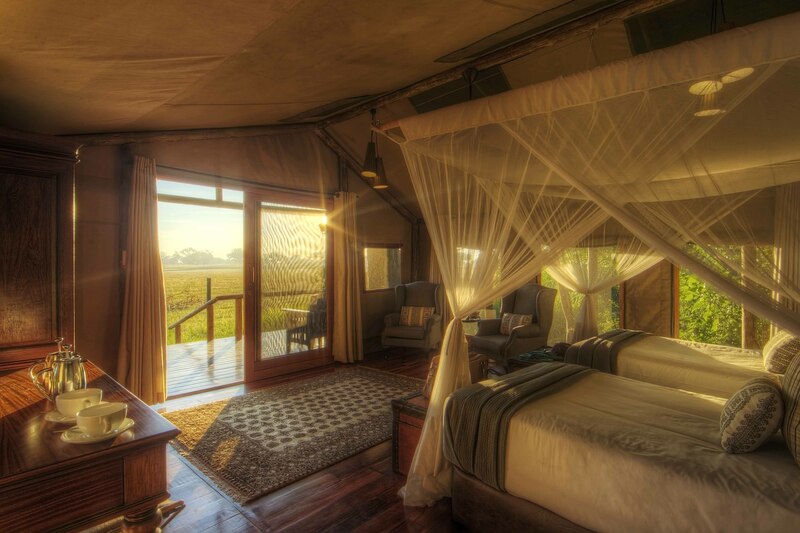 Historical charm and modern elegance are combined in Shinde’s eight safari tents. Refurbished in 2015, they now include a large bathroom with walk-in shower and a spacious bedroom with beautiful linen and carefully considered furnishings. It’s not called Luxurious Botswana for nothing. 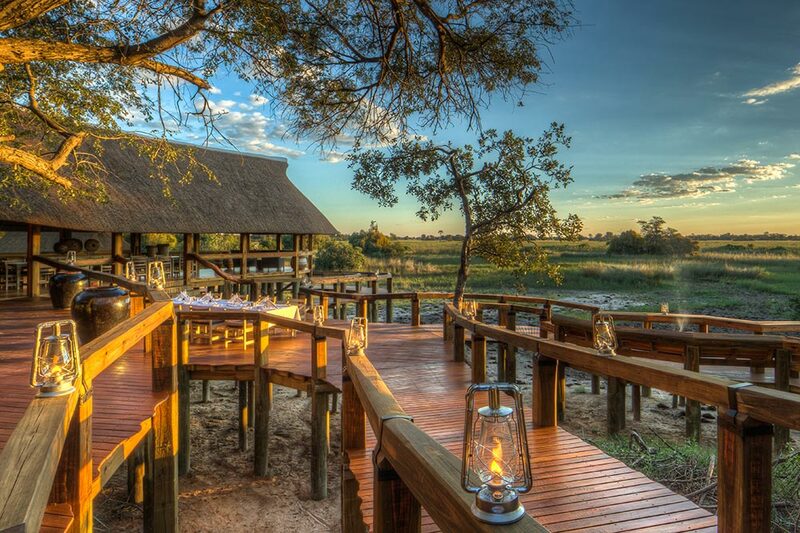 Hosted by Wilderness Safaris and Africa Albida Tourism, this six-day safari package takes guests to Botswana’s most exclusive lodges in the Okavango Delta, Linyanti Wildlife Reserve and Chobe National Park. Vumburu Plains is the ultimate relaxing safari retreat that balances bush activities with a tranquil lodge setting in northern Okavango Delta. It consists of two satellite camps that together offer 14 raised rooms that are designed, furnished and decorated tastefully and include full indoor ensuite facilities along with outdoor showers. Vumburu is made unique with plunge pools and an elevated massage sala overlooking the plains below. 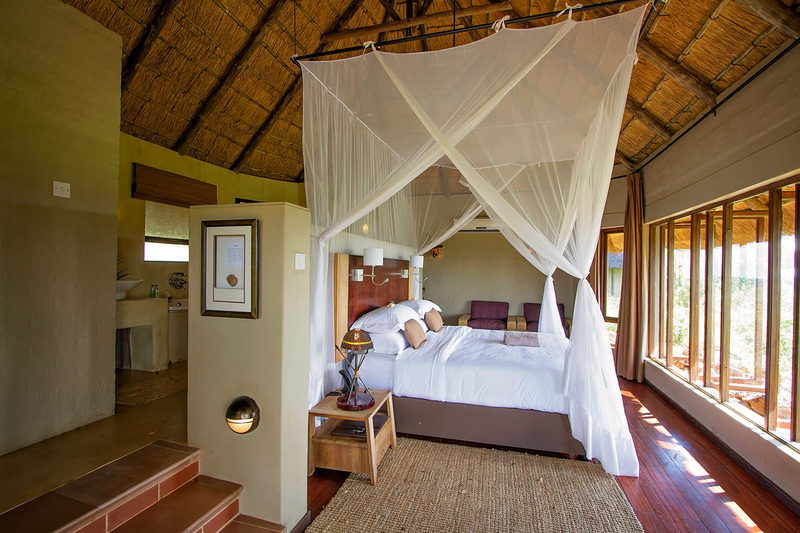 King’s Pool makes all guests feel like royalty whilst still being in an environmentally-friendly, sustainable lodge. Overlooking the beautifully oxbow-shaped King’s Pool Lagoon in the Linyanti which borders Chobe National Park, the large bedroom and lounge areas extend onto a private deck with plunge pool and thatched sala, providing the perfect place to watch the elephants pass by. Ngoma Safari Lodge treats guests to outstanding panoramic views across the mighty Chobe River and its neighbouring floodplain. 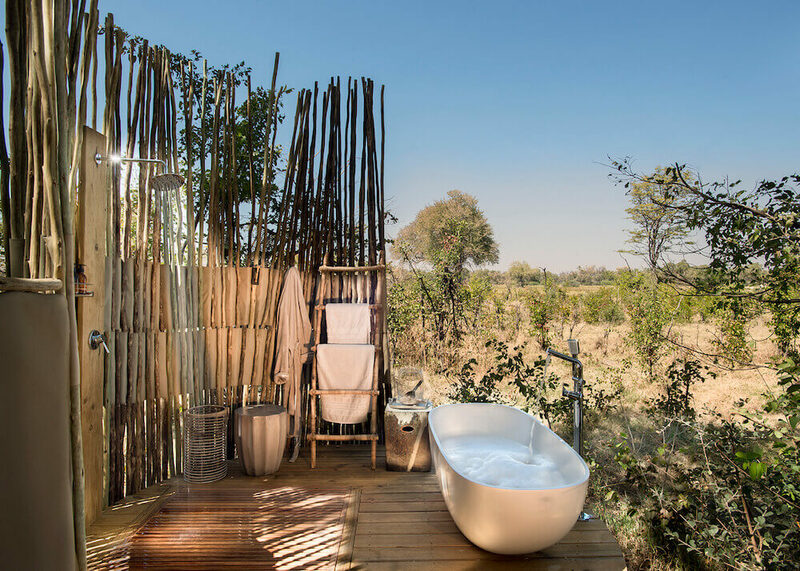 The lodge is made of natural materials and each of the eight boutique suites include a sizeable ensuite bathroom with a rainfall shower and bathtub as well as a private outdoor shower. A feature of all the suites is the plunge pool in which to unwind after a day in the African bush. Interested in booking a special getaway this Christmas season? Chat to us and we’ll help you choose the Botswanan safari itinerary that best suits you. The mission of Liquid Giraffe is to provide an unparalleled and personalised booking service for visitors to Botswana and other select African countries. The emphasis is on service. We want to help you put together your holiday so that you get only the best out of your time and investment.